went to Milos 6 times during our stay. The last night i was served a 650 gram steak which melted in the mouth. I can't understand why it isn't full every night. Milos is a really nice authentic Greek restaurant with a beautiful view on the Hills. Their greek dishes are lovely and their wines excellent. You will be treated by Yannis and his staff in a really warm, welcome way. If you go for the really "greek food and feeling" you must go to Milos. Also for children, a very welcome place to be. If you still prefer to eat something else then the traditional greek food, their menu has sufficient choises for other wonderful dishes too. Origional Greek cusine. Went here for 11 out of 14 nights and was not dissapointed.....all meals were great. The staff were all friendly and made us feel right at home. 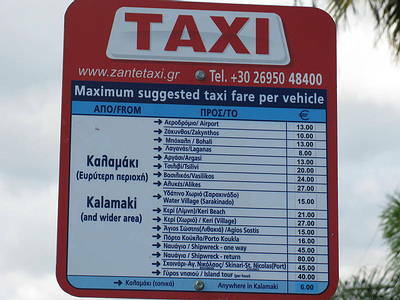 Will be going back for sure on our next visit to Zakynthos, but will go every night as we didn't find better. Well here we are again our third visit to Kalamaki and back to our favourite restaurant, the staff had changed but Yiannis was still there. It is the best restaurant by far in Kalamaki.The staff are very friendly always polite and you can have a good laugh with them, especially if you try to speak a little Greek. The atmosphere is great and the food, well we have tried the rest but Milos is best. His Moussaka is wonderful and the Sea Bass is to die for it came with head on but they fillited for me without any hesitation and my hubby really went for the lamb chops on more than one occasion. Just returned home after a fantastic fortnight in Zante.Visited Milos several times, tried others but not a patch on Milos so went back again and again. Waiters were extremley helpfull and friendly. Food and service was fantastic. Definately come back to Zante if only to visit Milos again. The owner and staff work extremly hard but there hard work definately pays off. Thankyou for some fantastic food and memorable evenings and the gift we were given on our last evening. Mylos best restaurant in Kalamaki. Went five times wish it had been fourteen. We only got to Milos on our 13th & last night! We were almost the first family (group of 6) in but the service was fantastic, so was the food. We even had free drinks and by the time we left felt like part of the family! Its the 3rd place we will definatly be eating when we return in 2011 together with Hera and Merlis. Cant say after these 3 i need to go anywhere else for food! Milos was the best restaurant in Kalamaki, Yanis and his crew couldn't have been more sincere and welcoming, nothing was too much trouble, the Ceaser salad and the potato skins were to die for! !, and they were only the starters! !, the mixed grill was fantastic with loads of meat and the Greek dishes were the best we had. When we told Yanis that it was our Daughter's Birthday an imprompture happy Birthday was sang, accompanied by a Saucepan lol, ( she nearly died of embarrassment ). If we ever go back to Kalamaki, we will be eating in Milos all the time!! We have been to Kalamaki twice now and we always eat at Milos, we have tried others to compare and Micholos is very good but we always go back to Milos, Yannis makes you welcome and so do the rest of the staff and they make you feel special. The food is excellent as is the local wine. We will be going back to Kalamki in the future and hope that Yannis and his crew are still there. weve been to kalimaki twice now and milos is the main restraunt we go to.its fab.the food is the best in kalimaki. yanis and his staff are so friendly.its got a great atmosphere and the food is quite cheap. This was our favourite restaurant in Kalamaki. Was recommended by friends of ours halfway through our first week and we ate there every night after that. Food was fantastic! Lamb in Honey Sauce was beautiful (my son had it time and time again!) and the Lamb Kleftico was to die for! Yiannis gave us a lovely welcome every night we went there. Such a lovely man! The staff were really friendly too. Was very sad saying goodbye on our last night there.Would recommend this restaurant to anyone. Can't wait to go back next year when we return to Zante! On all fronts this is the most excellent taverna in Kalamaki, Yannis and his staff are the friendliest people I met during our stay in Kalamaki. 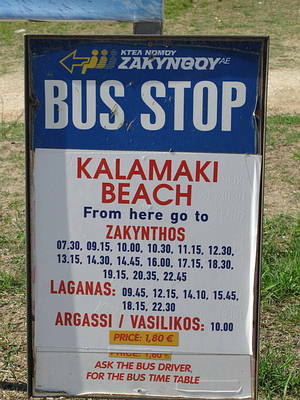 That is saying something special as everyone in Kalamaki is wonderful and extremely friendly. The food is truly authentic Greek cooking but it also offers more basic alternatives for the unadventurous. Free drinks were given virtually all the time, so make the effort to speak a little Greek which will be much appreciated and probably rewarded. Swordfish is fresh and very tasty as well but that is pretty much true of the entire menu. Local Wine by the carafe is great so don't think you have to buy a bottle to get a decent drink. we tried many different greek dishes all excellant.friendly staff ,service great and not rushed. yanni and staff excellant and very friendly. Really good food and value for money. In my opinion one of the best restaurants in Kalamaki, really good Greek food and so reasonably priced. The owner and staff were all very welcoming and friendly.